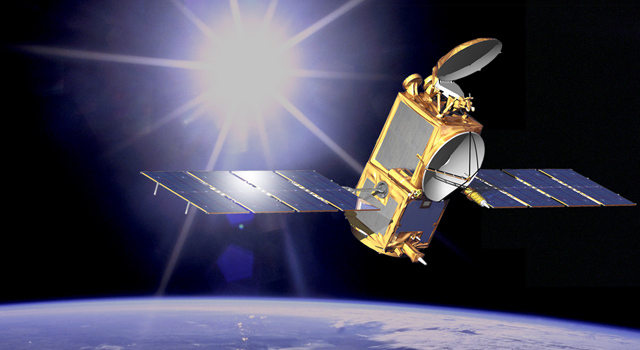 The european-US Jason-3 oceanography satellite is scheduled to launch in 2013 to replace Jason-1. Its objective is to continue monitoring sea-surface height and pursue the 21-year time series of high-accuracy ocean altimetry measurements. The Jason-2 satellite in orbit since 2008. Credits: NASA/JPL-Caltech. Sea level is currently rising at a rate of 3.5 mm every year on average, against only 1.7 mm in 1993-1994. In other words, the rate has doubled in 20 years and sea level has risen nearly 6 cm in total. How did we obtain such precise measurements, which have served notably as a basis for the work of the IPCC*? The answer is: thanks to the Topex/Poseidon (1992-2005), Jason-1 and Jason-2 (from 2001) altimetry satellites. Eric Thouvenot, Jason-3 Programme Manager at CNES. Credits: NASA. Indeed, their level of performance has made them the benchmark for other, less accurate, altimetry satellites. 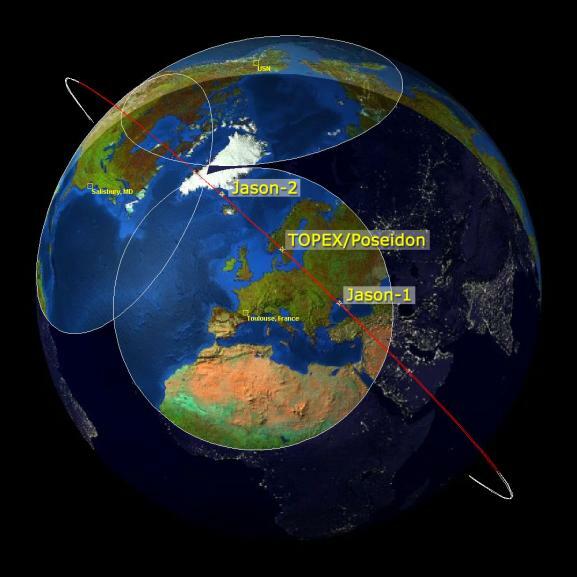 Orbits of the Topex/Poseidon, Jason-1 and Jason-2 satellites, and the mission control centre at CNES in Toulouse. Credits: NASA/JPL. The launch of Jason-2 early in 2008 made it possible to acquire more data on coastal regions and major river estuaries. The satellite provides near-real-time measurements to a broad range of users in the form of sea-surface height, wave height and wind speed maps, vital for weather forecasting, coastal fisheries and land planning. “Jason-1 is approaching the end of its design life and is currently flying in tandem with Jason-2, thereby doubling ocean data coverage.” says Eric Thouvenot. How the Jason system works. Credits: CNES/Ill. D. Ducros. Jason-3 is a carbon copy of Jason-2 and will replace Jason-1 in the same 1,336-km orbit. 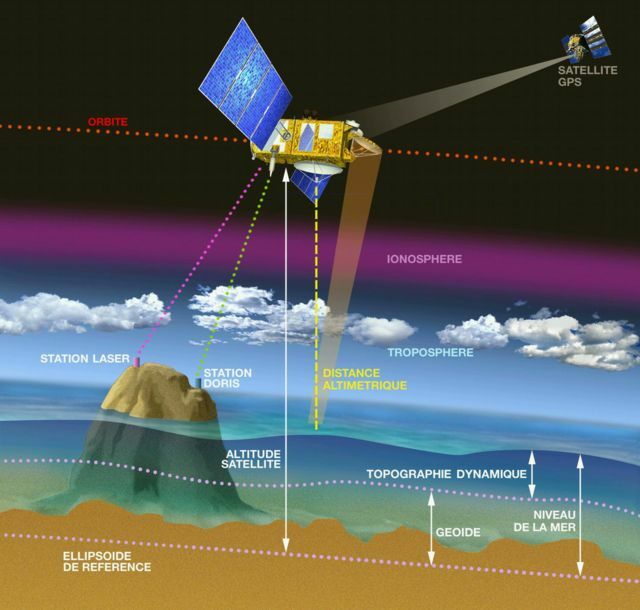 CNES signed the contract to build the satellite with Thales Alenia Space on 24 February. For close on 20 years, these altimetry satellites have helped scientists to better understand and describe the vast system of ocean currents at the surface and deep below. 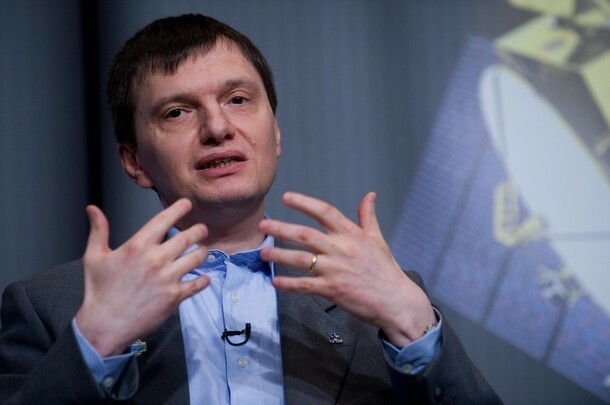 This system transfers huge amounts of energy and is one of the main drivers of climate change. * Intergovernmental Panel on Climate Change.